With a goal of making it easier for college graduates and students to stay involved in the sport of sailing, the New York Harbor Sailing Foundation has launched a Young Adult Program to provide free sailing opportunities to sailors ages 18 to 25 in New York Harbor. 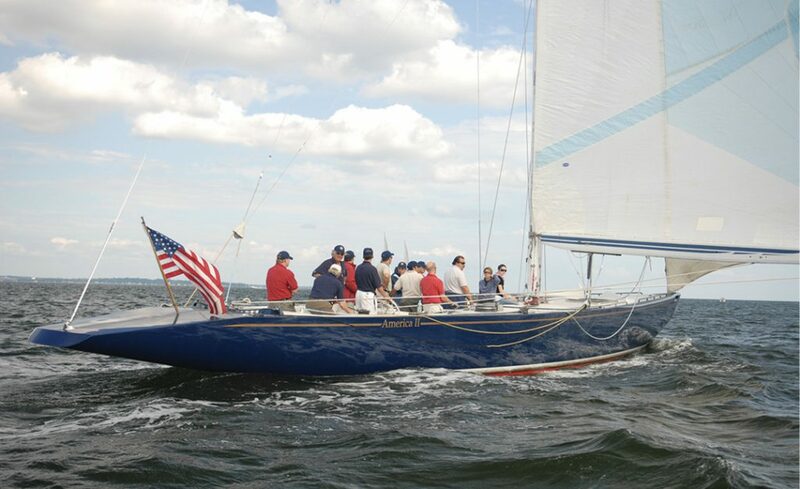 The New York Harbor Sailing Foundation was founded by members of the Manhattan Yacht Club in 1994 to foster and promote amateur sailing of national and international importance in New York Harbor. The largest sailing organization in New York Harbor, Manhattan YC is based at Liberty Harbor Marina in Jersey City, NJ, directly across the river from Manhattan’s Battery. The Foundation’s fleet includes several Flying Juniors (part of the Stevens Institute of Technology’s collegiate sailing team), which race in New York Harbor near the Honorable William Wall, Manhattan YC’s floating clubhouse; a 35-foot International One Design (IOD); and a pair of America’s Cup 12 Metres, US 42 and US 46, which competed in Fremantle, Australia in 1987. The Young Adult Program is open to 20 sailors, with spots allocated based on skill and experience in the world of sailing. The Foundation encourages young adults who have participated in collegiate sailing programs, especially those who have distinguished themselves on the racecourse or in organizations, to apply. The Young Adult Program can also lead to professional opportunities such as teaching sailing, managing races, and race coaching.